As a professional Android blogger, we try to cover up every single information that could be beneficial to our visitors. Frankly speaking, deleting call history from Samsung Galaxy or any smartphone is not that hard of a task. But we do believe that the word "hard" or "easy" really depends on the expertise of the users. That's why in this tutorial we will discuss how to delete call history from Samsung Galaxy. Every Android device has an in-built delete function on Call History app from where you can erase the call logs of your phone but this only helps for personal purpose. If you are selling or donating your device to a stranger then you must find a way to permanently delete the call history from your phone so that no one can recover the call logs and misuse them. In this guide, we will show 3 easiest ways to delete call history from Samsung Galaxy that could be used for both personal and commercial purpose. In this part, we will be using the most basic function provided by Samsung Galaxy to delete single or multiple call entries from your device. Please simply follow the instructions below, then the call log entries should be removed successfully. Step 1: Open the Phone app and go to Recent Calls. Step 2: Select a call log entry from the list and tap on the "delete" button from the top right corner to remove that particular call log from your call history. Step 3: However, if you wish to erase multiple call log entries then first tap on "More" then check all the call logs on the list and hit the "Delete" button to remove all the call history at once. Note: Though this method is quite simple but it is not secure. As you can see from the screenshot, deleted items on Android phone can be retrieved by programs like Androidphonesoft Data Recovery. So if the logs were very important, I suggest using Method 2 instead. Like we mentioned, even if you erased the call history from your device, they are still in good recovering position. It means any hacker or computer expert can get back the deleted call history from your phone and exploit them horribly. 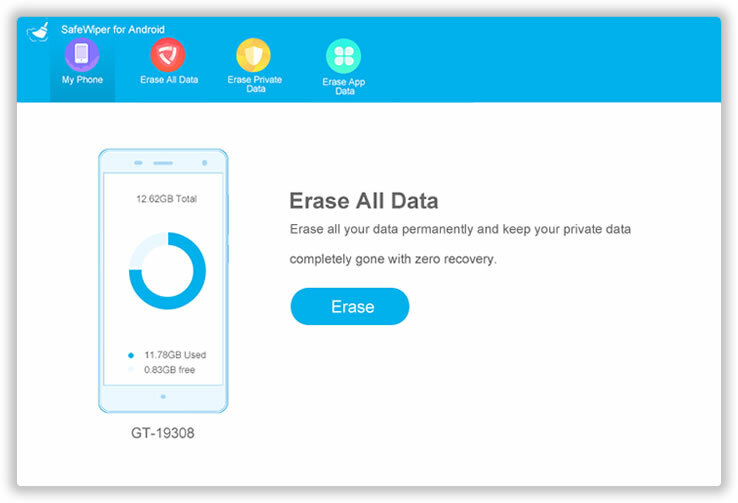 Protecting your privacy should be a top priority and thus, in this part, we will be using Android Data Eraser to completely destroy the call logs from Samsung Galaxy smartphone so that no one could have the chance to get it recovered. 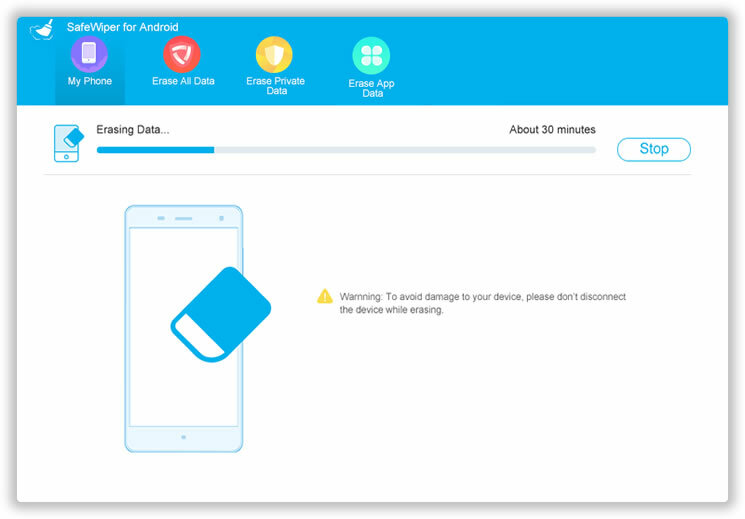 Android Data Eraser incorporates extremely powerful algorithms to delete private data from Android phone. This makes sure there are no traces left behind for recovery. It supports not only Samsung Galaxy smartphones but also over 5000+ Android phones from different brands like Sony, Asus, Micromax, Motorola, Google, etc. 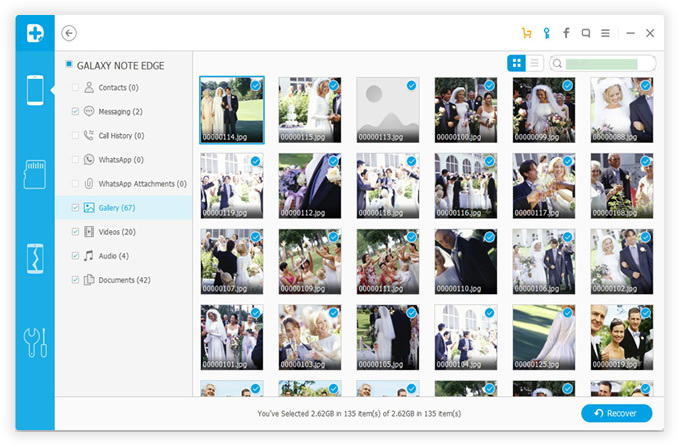 It offers 3 ways to erase data from your phone so that you can customize your device according to your desire. Download & install Android Data Eraser on your Windows or Mac computer and get your Samsung Galaxy phone connected with the computer. Enable USB Debugging Mode on your Samsung Galaxy in order to get recognized by the software. 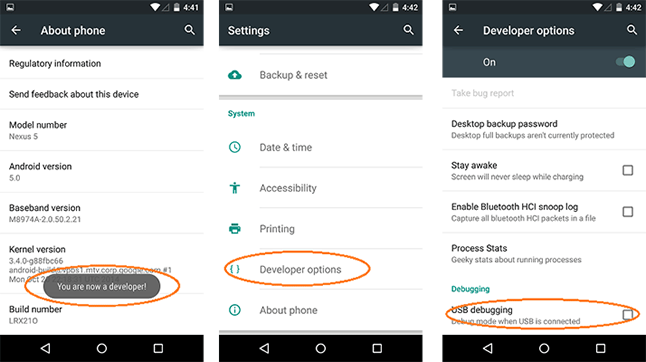 To enable USB Debugging mode simply go to Settings > Developer Options > Toggle on USB Debugging. Choose the data erasing method from the given options. To remove the existing call history from your device, simply select "Erase Private Data" and let the program scan your phone thoroughly. After the scanning progress is done, the software will let you preview all the data on your phone. Select Call History and choose all the call logs that you wish to remove. Then, simply click on "Erase" and all the call history from your device will be gone forever. This step is optional but it is necessary in certain case. Factory reset will clear all the cache and tmp files on the device. Highly recommedned! 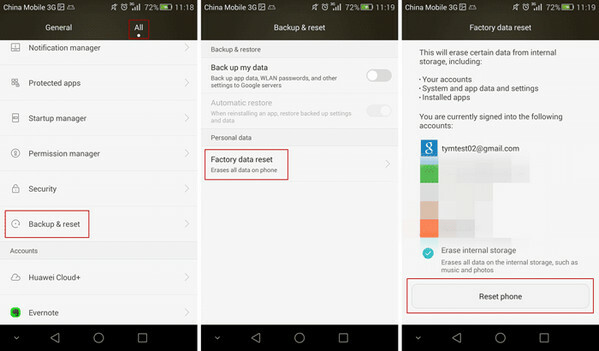 Tip: Make sure to backup your phone data before using Android Data Eraser. It is assured that none of your erased files could be recovered after they are deleted with this tool. Factory resetting any Android device will erase every single data and information from your smartphone. Remember, this part will not only erase call history from your phone but it will completely wipe your device. So, only use this method if you are aware of the consequences. Step 1: Unlock your phone, tap on "Apps" followed by Settings then "Backup & Reset". Step 2: Next, click on Factory Data Reset > Reset Device > Delete Everything. Step 3: That's all! Just give your phone few minutes to perform the factory data reset and your phone will be restarted automatically after the process is finished. In this guide, we have shown how to erase call history from Samsung Galaxy temporarily as well as permanently. Obviously, if you are erasing the call history on your personal phone then you can delete them manually but if you are selling or giving away your device to a total stranger then it is recommended to use a tool like Android Data Eraser to delete data from your phone permanently. You should never trust any stranger with your phone's privacy and security and you must take proper precautions before its too late.